I have been reading a whole heck of a lot lately and this is a book I've had my eye on for quite some time. My husband treated me to the paperback copy a while ago but it's taken me longer than usual to get through. That's in no way because the book is poorly written...but clearly from the title this is a sad and tragic book that does not have a happy ending. I never did purchase it myself because it's one of those books I have to gear myself up to read. I knew I would love it, but I had to be in just the right frame of mind to read it...is anyone else like that? Since I knew the basic premise of the story it wasn't exactly surprising but it was incredibly poignant and there is just something about reading a book that tells the story of a real life that I just can't get over. It's definitely one of my favorite kind of novels to read. This book is the story of Robert Peace, written by his college roommate Jeff Hobbs. 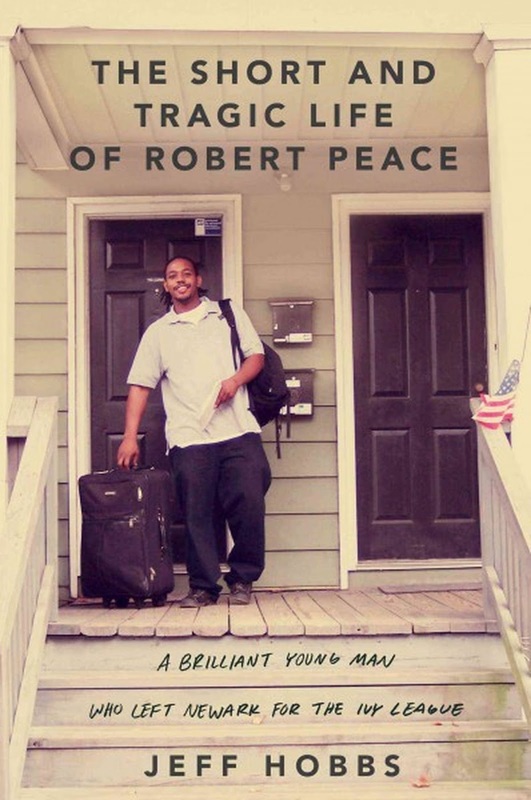 Robert comes from an incredibly impoverished neighborhood and through his mother's hard work and perseverance ends up going to Yale and receives a degree in Molecular Biochemistry. Essentially, the man is a genius who can't seem to escape the need to be more and in turn, it leads to a tragic end. It's unfortunate to read about a person so bright and giving that just can't seem to see past his own insecurities, his own need to prove himself. The ending is not surprising but you still have a tiny bit of hope for some justice or some sense of closure at the end of it all. I warn you now, you'll get neither. I liken my feelings of reading this book to when I watched Fruitvale Station (another amazing, but heart-rending story). I literally cried for days after. Days. I do recommend this book for those who are not as sensitive as I am...or even for those who are and can spare a good week of tears. I am highly emotional, but this does sound really good. I am not reading anything at the moment but I am going to join Lindsay & Llinos book chat and will be finding a blogging book to read this month! Wow does this ever sounds like a great read!! You find such unique and intriguing stories!! I hope your day is going fabulous you gorgeous gal pal!! This book sounds so sad and painful, I too have to be in the right frame of mind for certain books otherwise my mind just can't read it and take it in. I'm like that with the floods of tears especially when it comes to documentaries it usually leaves me mulling it over for weeks trying to make sense of it all. I love to read and I've never heard of this book, so thank you! It looks like a great read! I usually only go to used bookstores now-a-days though! This looks like an excellent, although tragic book. I can see why it would make you so emotional. I do most of my recreational reading over the summer when I have more time, although I am currently reading a book about how fashion and image has shaped the history of presidential elections.